The Bunker SLO has had some amazing artists and craftspeople grace the building over the years. Check out this listing of all the talent that has graced our halls (ok halls might be a bit much but you get it). My buddy Neal is something else. He is an amazing painter, a super dad and a connector of people. Neal is a wonder and a talent who just wants to make the world a more arty place. Follow Neal on Instagram, or check out his website. 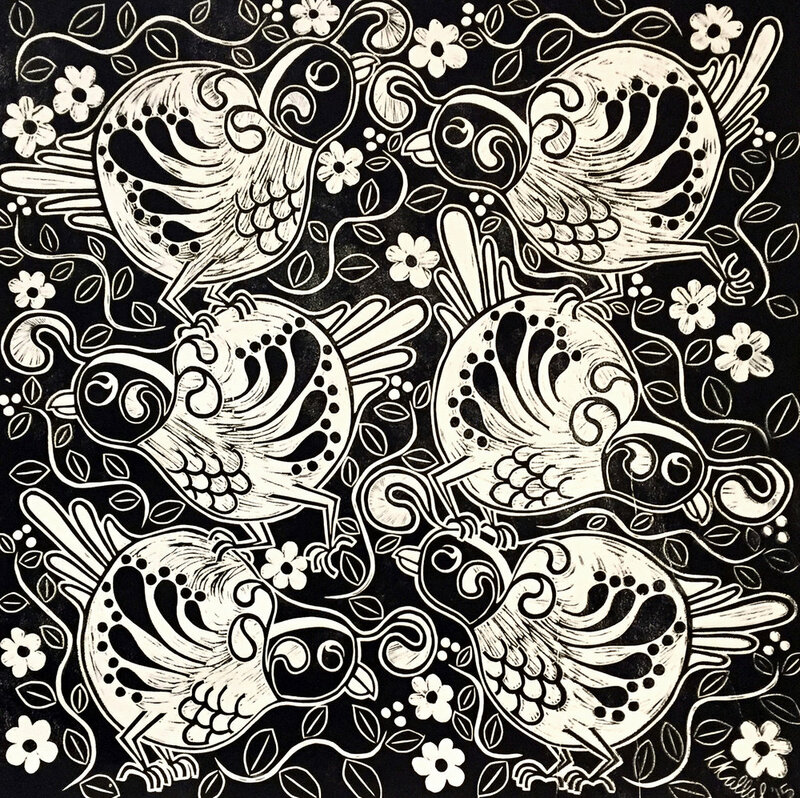 Inspired by European folk art, Russian nesting dolls, Art Deco, and the occasional fat bird, Kirstin applies her unique printmaking style to creating imagery of the California Central Coast. She is a super mom and a sweet sweet soul…you can see it in her work. Follow Kirstin on Instagram, or head over to her Etsy storefront! Shirts screenprinted by hand, created to celebrate nature, adventures, friendly humans, and the best cities on earth. Livelocal Apparel. 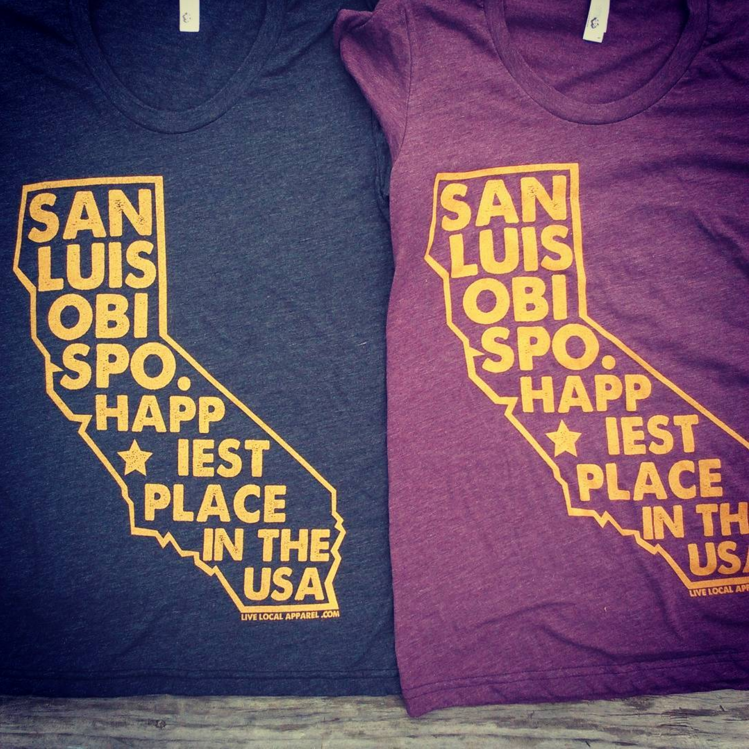 You can find their shirts all over SLO, and at a number of California museums, airports, and National Parks. Otherwise known on the "streets" as the Bunker Ninja, Tony Girolo works for the city by day, and sneaks in to the Bunker after dark to work on his paintings. The Bunker ninja is elusive. We only register his presence by the fact that his paintings continue to progress. To keep tabs on the resident ninja, follow him on Instagram. Melisa is a straight up powerhouse of awesome. She can draw and paint and is always smiling. Melisa is a lover of all pets and is a true talent. Learn more about Melisa on her website. Jeff “Barn Boy” Sauer is a lover of old wood and sweet dogs. Jeff was the first bunkmate at The Bunker with Missy and is a superstar in the building business. Irene was the #2 Bunkmate in the very beginning and is an amazing illustrator. Irene and her wife Ashley are a writing/illustrating team of the greatest “How To Draw Manga” books and Irene is a staple at many Comic Cons all over. There are few words to describe an amazing artist like Bret. Bret is incredibly talented, a deep thinker and also a super great human. great artist, awesome dad and always ready with a smile…we love us some Bret! Chris is an artsy super dad that loves to create. He paints, he is a film maker, a photographer and more. He is also the most fashionable gent to ever grace The Bunker. Jeff is a non-stop, whirl-wind of creative energy. A born and raised SLO boy, Jeff is always making cool stuff. Currently he is the owner on Viva Paso, is a stellar dad and is an avid vlogger. Check him out. You can also visit Viva Paso and if you go by the shop you might even have a sighting! Do you like sweet treats and amazing people….well Liz Nagel is amazing and is always surrounded by her magical goodies. She is a wonderful mama and is always glittery and rainbowy and smiley.